We are an acclaimed name engaged in providing our precious clients a superior quality range of Aerosol Fragrance Refill. A unique combination of fragrance dispenser and refills that allows you refresh your atmosphere with a single pump of micro molecules . 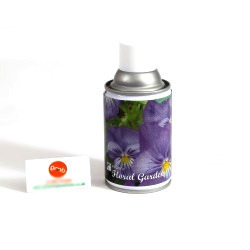 We are instrumental in offering an impeccable range of Aerosol Refill, which is extensively used to get rid of bad odor and provide a pleasant ambiance in office, cabins, conference halls/rooms, toilets, residences and hospitals among others. We offer these products in a variety of delightful fragrances to sooth senses. Aerosol refill cans 110ml / 250ml / 300ml & 320 ml. Microburst 3000 refills provide the most effective odour neutralising available today in a compact system. With outstanding odour control properties the clean fresh scents permeate the air with subtle fragrances that reassure washroom users that the room is clean, safe and comfortable.
" WE ARE LOOKING FOR BULK ENQUIRIES "
We are one of the well-known manufacturers and suppliers of Metered Aerosol Refill. 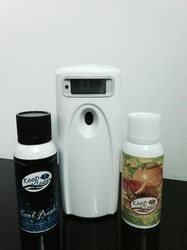 The offered metered aerosol refill is used for refilling the fragrance dispensers and sprays. Our company holds vast experience in this domain and is involved in offering Fine Air Dispenser Refill. We are instrumental in presenting an extensive variety of DC Aerosol Refills to the customers. Offered range is highly robust, easy to install and accurate in working. To fulfill the diverse requirements of our clients in the best possible manner we are passionately engaged in offering a wide range of Aerosol Refill Can to our customers. - Fully compliant to all relevant legislation. Large number of Fragrance options available. - 100ml canister with 3000 metered sprays. - Packed x 24 canisters per case. - 2 piece professional actuator ensuring optimum fragrance dispersal. With huge awareness about the trendy demands, we provide a fine collection of Aerosole Refill.